Age – What’s your number? The ageing brain – of interest to us all! This is a science show with a difference. 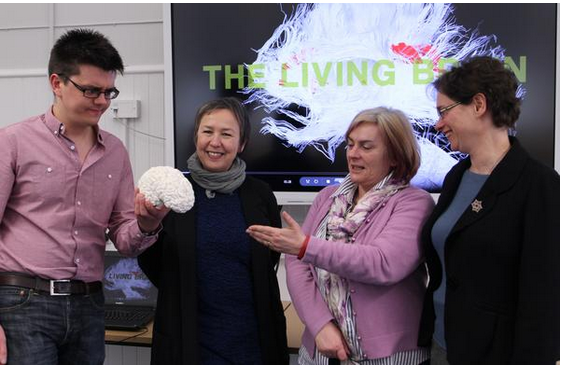 Hosted by the comedienne Susan Morrison, the show presents the work of Edinburgh researchers into the ageing brain through interactive games, a short film, and a ‘talk show’ atmosphere with Susan and the audience posing questions for the panel. One of the panel, Dr Stuart Ritchie, hails from Penicuik. He is joined by film-maker Anne Milne and Dr Susan Shenkin, This evening of entertainment will give you a chance to discover something about the ageing brain! Age – ‘What’s your number?’ – a show which challenges the idea that academics are dry and dusty, and that what they have to say belongs in academic journals. This evening will appeal to young and old alike, and, as Susan grills her guests and invites participation from the audience, the science of the ageing brain will come alive. CLICK HERE – Susan Morrison and Stuart Ritchie PLAY CARDS! This event is for adults, its FREE but please reserve your place here. Penicuik Town Hall has wheelchair access.